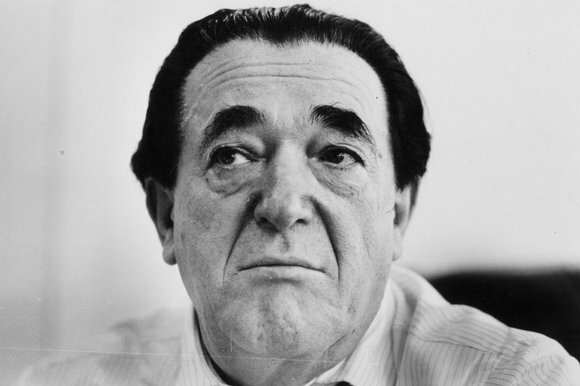 Twenty-five years since Robert Maxwell’s death the organisations with which he was associated are in no healthier condition than they were on his demise: Pergamon Press, Oxford United football club, the Daily Mirror. None of us to want to think ill of the dead (it is hardly a healthy way to be, reliving repeatedly the betrayals of past generations) but Maxwell in particular is unjustly prettified by forgetfulness. At least he wasn’t as bad as a Donald Trump or a Rupert Murdoch, you find yourself thinking. Except that he was. As far as his contemporaries in business were concerned Maxwell ran the Mirror just about as well as any paper could have been run. Copying the Sun by filling the paper with images of women breasts, reducing the news, the politics and the circulation. Filling it with puff pieces about Maxwell’s businesses success, his meetings with General Jaruzelski the butcher of the Polish revolution, his plans to make bids for decaying British businesses (always better reported than Maxwell’s subsequent failures to proceed with the mooted acquisitions). Attacking the unions – one of the greatest annoyances of Tom Bower biography is Bower’s hostility to the unions. The mathematics of the transaction were depressingly simple. Maxwell paid £100 million for the Mirror. Like all the great acquisitions of the 1980s (the takeover of Harrods was just the same), this was not money he ever owned himself. He went to the banks, who accepted that he showed every visible sign of being very rich, and persuaded the banks to lend him the money and on buying the paper put the debts of its sales through its own books. How then was the Mirror, which had already been struggling prior to its acquisition, supposed to pay the interest on his £100 million? Simple, Maxwell said. By sheer force of personality, he would compel the workers to accept redundancies and pay cuts until the paper’s wage bill was cut in half. At that point, with every worker doing the work that was previously done by two, the paper could afford his purchase of it. To an extent, the plan worked. There were protests of course, but the unions were being crushed everywhere in print. The Mirror had a number of left-wingers on its board, none resisted Maxwell, and Neil Kinnock’s Labour Party which had a disproportionate influence (the Mirror had long been a Labour paper and a number of promises having been made that it would remain one) was hardly going to stop him. On having broken the unions, there was no force capable of stopping the second stage of Maxwell’s plan. For his £100 million, he had acquired not merely the paper itself but its pension fund built up to protect around 16,000 present and former employees in their retirement. From the fund, £400 millionleached into his private finances, paying for the champagne and the smoked salmon at Maxwell’s private parties and all the ostentatious spending which persuaded the banks to acts as the intermediaries in the next steps of Maxwell’s subsequent business acquisitions. From Bower’s book, you get a sense of Maxwell’s upbringing in an Orthodox Czech Jewish family, his distinguished war service in the British army, his personal corpulence (he was 21-stone on his death), his love of bartering and his bullying. You see Maxwell’s talent for persuading himself that his private greed was in fact some public mission (“service to my fellow man”, he called it). The most memorable passages of Maxwell: the Outsider are ones in which Bower describes Maxwell’s first and failed attempt in 1968 to buy a newspaper, the News of the World. His bid was defeated by its owner, a drunk example of old English money, playing loose with business rules and denigrating Maxwell publicly in anti-semitic terms. Rupert Murdoch, newly arrived in London, was less of a foreigner than Maxwell who had been here for two decades. Reading Bower, you can see why Maxwell fixed on the newspapers which he saw as having a unique access to political influence (far more so than Maxwell had had during his brief time as a backbench Labour MP). You see his giant parties, with their tables, each graded according to the influence of the guests seated on them, and the menus of each table set accordingly. If you’re trying to show off to a former Prime Minister, to your other press barons, and to your own senior executives, wouldn’t it be cheaper and easier just to give everyone the same lobsters and caviar? Not at all. Maxwell may have been a thief but he was a rich man. Just like everyone who ascends that high: while he was exuberant with his own tastes, when it came to everyone else he scrimped like a miser.